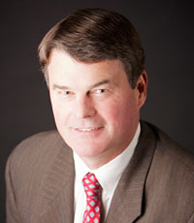 Sidney Jackson conducts cases involving business disputes, investor disputes, insurance bad faith and deceptive sales practices, and product liability. Certified as a Civil Trial Specialist by the National Board of Trial Advocacy, he is an AV-rated lawyer and is a member of the local, state, federal, and U.S. Supreme Court bar associations. Sid has considerable appellate practice in Alabama and elsewhere including oral argument before the United States Supreme Court. The focus of our practice is client satisfaction, and that is what we strive for. In addition to a busy trial practice, Sid enjoys performing volunteer work for the Mobile Volunteer Lawyers Program (2009 Lawyer of the Year), his church, and community. He and his wife Alyson have five children. Lawley v. Chevron Chemical Company, Inc., 720 So.2d 918 (Ala. Civ. App. 1997). Class Counsel: Castano v. American Tobacco Company, et al.